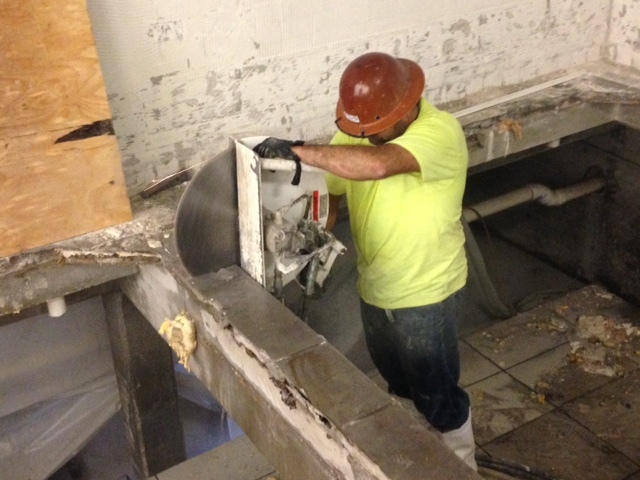 ADS, Services, Inc. provides a wide range of professional Concrete Cutting services. With a large variety of state of the art cutting tools, our expert concrete cutting team can handle all of your concrete cutting needs form simple to complex projects. We tackle everything from sidewalk, slab and other large concrete area removal to more challenging projects such as the removal of the top of a 50 foot volcano from a water park slide at a major theme park. Our areas of expertise also include trench cutting slabs for plumbing and other trade needs, concrete cutting for remodeling projects, and door cutting into existing concrete block walls.